It took Nicole Barrow five years to realise she was just not a desk job kind of person. Rapidly rising through the ranks at a wholesale importing business and with a solid introduction to administration, sales, and management behind her, Nicole was looking for a career that could really take her places. Following the recommendation of a friend to apply for the role of personal assistant to real estate agent, Paul McDonald, Nicole was quickly inducted into the dynamic property industry. Nicole recognises how fortunate she was to be mentored early on by such an accomplished professional, and attributes her own considerable success to the time she spent modelling her work practices on those of Paul’s. Ten years in and Nicole was not only an outstanding sales executive, but she then joined forces with Paul McDonald and Sheryl Upton in April 2006 to create an agency reflective of their common values. Nicole’s naturally warm and engaging personality creates authentic connections with clients and her focus is to consistently exceed expectations. Serving as a mentor herself now, Nicole’s strong work ethic and energy inspires incoming staff as McDonald Upton continue to raise the standard in real estate. What a fantastic result from you both and your team. We want to put on record our sincere thanks to you. Every part of our sale was handled professionally. Liz had some issues with the sign writer, but fixed them and then confirmed the outcomes with us. Nicole and Simone always rang to confirm appointments. Nicole almost spent a week at the house showing people through. The team got to know Arthur our sleepy old dog and we had no issues. The quality of the group of buyers were the type of people we wanted to have purchase our family home and the end buyer we feel will keep this house as a family home. We thought the auction ran perfectly, other than Paul’s bad one liner jokes. One best point of difference you have Paul is that at the auction you are pleasant and you do not yell or shout at people. Others yell all the way through the auctions, and make all bidders and sellers nervous. We would be completely happy to recommend your company to other buyers and sellers. Well done and thanks again. Many thanks Nicole for all your efforts selling Levien Street, we appreciate all that you did for us. We would like to pass on our sincere thanks to you all for recently selling our house at 22 Tweedside Street Essendon. 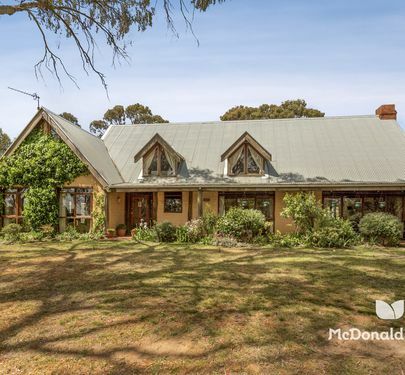 We had sold our previous home through McDonald Upton Real Estate many years ago, so when the time came to sell again, the decision on which agent we were going to engage to sell again was simple. Nicole and the team made the whole process run smoothly. We were kept informed throughout the whole campaign and Nicole would call us after each inspection and was always available to take our calls whenever we had any questions. We were quite impressed at the high level of communication. The team appeared relaxed on auction day which helped us to ease our nerves, and our auctioneer, Simon, gave us a great final result, which was beyond what we expected. Thank you to Nicole and the team, we will definitely be recommending your services to our family and friends. Dean and I want to personally thank Nicole Barrow for the outstanding result achieved with the sale of our property. Living interstate, Nicole went that extra mile by helping to organise & prepare our house for sale. Meetings with Dean at his Melbourne office from the initial enquiry stage through to the signing of documents was never a problem. We appreciated that Nicole was always contactable and if not our calls were returned promptly. We were always well informed and involved with the progress of marketing and enquiries. I can't give enough praise for the outstanding service that was provided. Paul McDonald Real Estate’s boutique style of selling really worked for us. It was professional but personal at the same time. Nicole, it was such a pleasure to work with an honest, professional and truly lovely person. I would like to mention that it was also a pleasure to deal with the girls in the office. Dean and I have already started promoting Paul McDonald Real Estate to our fellow friends in Melbourne. Thanks again to all… and we will pull out the champagne on settlement date! !